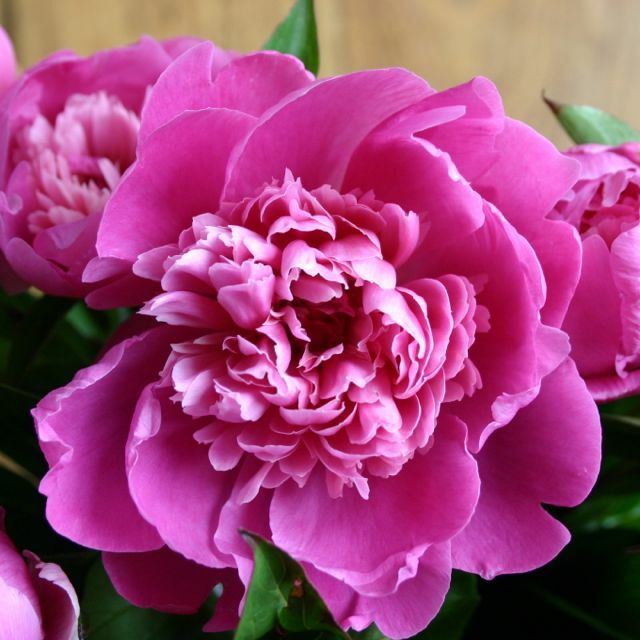 Peony cut flowers are available at different times during the short 3 week season. Each colour is an early, mid or late season variety. Dates of availability change each year depending on when the season starts. This is dependant on the weather in Winter and Spring before they flower. Prices per bunch vary per season depending on the supply. This season the bunches are $20 per 5 stems. This beautiful creamy white cottage garden peony produces clusters of fragrant, double showy flowers at top of tall red mottled stems. Red edges can appear on some of the petals when open. Leaves are dark green, each with 9 lance-shaped, rough margined leaflets. This beautiful cottage garden peony produces clusters of the palest flesh pink (almost white) flowers changing to a lovely creamy white with occasional crimson flecking in the centre and yellow stamens on tall stems. This is a very floriferous cultivar with beautiful green foliage and a graceful habit. This beautiful cottage garden peony produces clusters of fragrant, double, blush pink flowers with rose pink guard petals and an inner raised crown in pink to cream on tall stems. The side buds which surround the main bud open to smaller, saucer-shaped flowers. This is a very floriferous cultivar with beautiful foliage and a graceful habit. 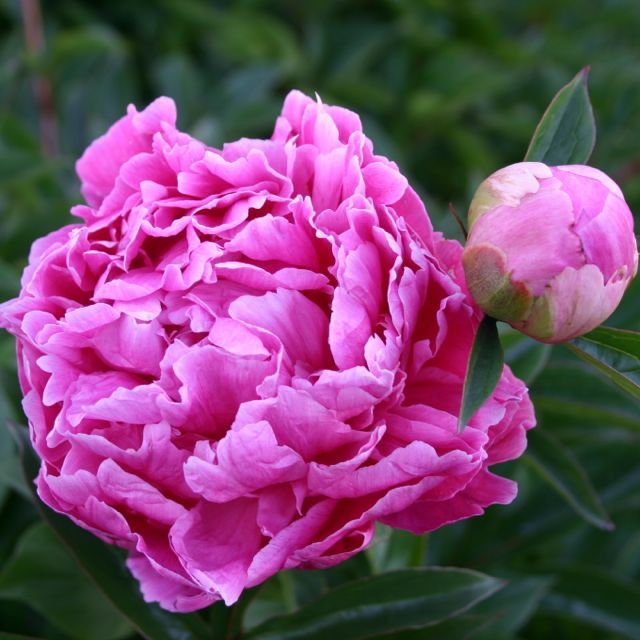 This beautiful cottage garden peony produces clusters of medium sized pink flower. Guard petals are old rose pink with cream-white collar above. The crown is incurved and a lighter shade of pink than the guard petals. The crown is occasionally marked with crimson. Mildly fragrant. Good cut flower. One of the best loved of all garden peonies. Large double flowers of apple blossom pink. 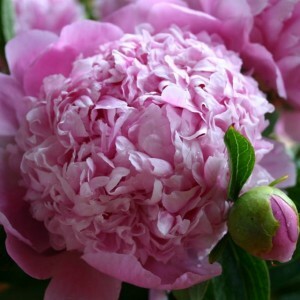 The flowers are very sweetly perfumed and a long lasting cutting flower. This beautiful cottage garden peony produces clusters of double pink red flowers at the top of red mottled stems. The flowers are bowl-shaped and fragrant. The surrounding leaves are dark green, each with 9 lance-shaped, rough margined leaflets. This highly fragrant cottage garden peony produces large globe shaped magenta purple flowers 10 to 15 cm in size. 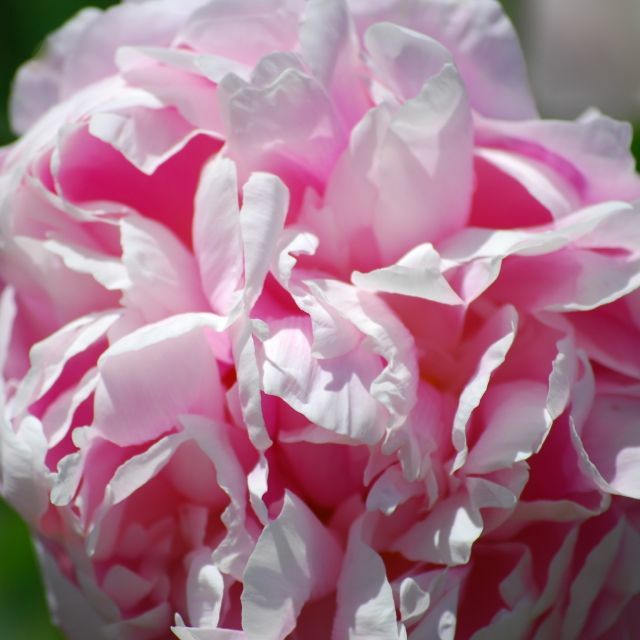 The pink petals fade to light pink on the edges which give it a frosted look which is very beautiful. This extremely good cutting variety is grown for this purpose across the world. 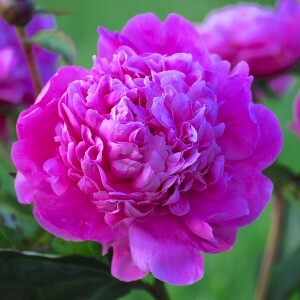 This is a very famous peony from one of the great french nurseries. This beautiful cottage garden peony produces clusters of fragrant, semi double, very dark pink flowers with yellow stamens on tall stems. The side buds which surround the main bud open to smaller, saucer-shaped flowers. This is a very floriferous cultivar with beautiful foliage and a graceful habit.